Guests entering Nerai in Midtown East are transported to feel like they’re worlds away on a gorgeous Greek island without the need for a passport. 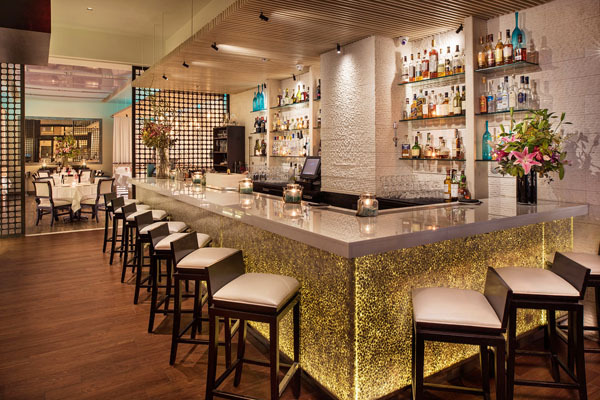 The contemporary Greek restaurant offers a unique twist on traditional Greek cuisine in a bright and airy setting with a lively bar. 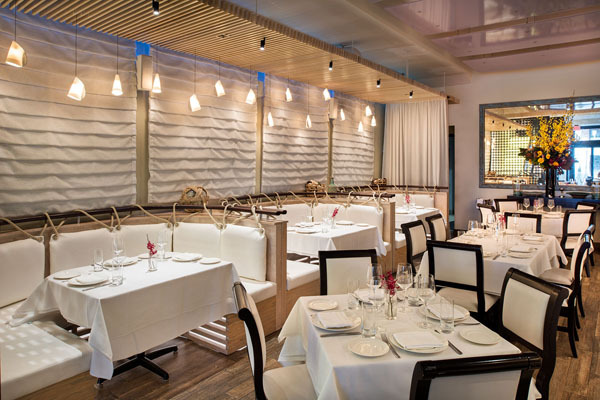 Situated on East 54thStreet between Park and Madison, the restaurant’s elegantly appointed dining room is blanketed in white. The minimalistic design is indicative of the beaches in Greece, where not much else is needed to capture its beauty except a few beams of sunshine dancing off the blue ocean. You can feel that connection here as well in the main dining room, along with two private dining spaces: Cava Nerai and The Bar Room. Cava Nerai is the stone wine cellar in the lower level of Nerai, where guests can host intimate private events. 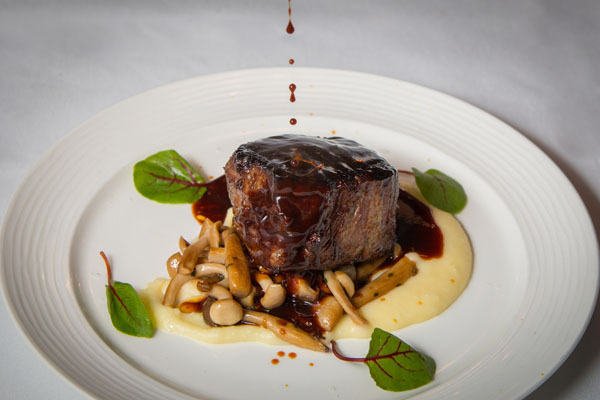 You choose your occasion, then choose your wines with Wine Director Michael Coll, then curate a well-crafted and paired menu from Executive Chef Moshe Grundman. Start your meal with traditional pikilia dips and a Horiatiki salad. Then choose from a fine selection of fresh fish dishes like Kakavia, a poached Mediterranean stone bass that’s lighter than air, simmered in a black pepper and lemon consommé and fresh vegetables. 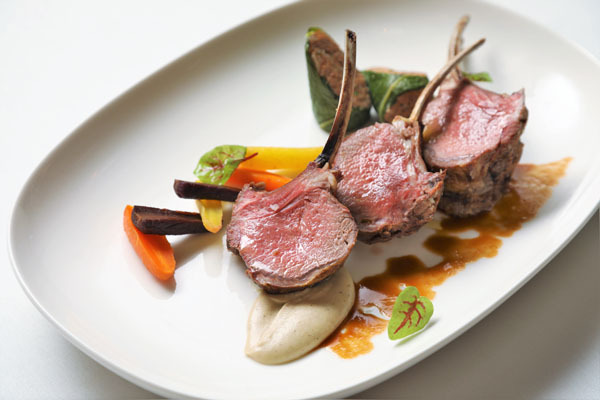 If you are feeling more carnivorous, try the Paidakia sti Skara – perfectly cooked lamb chop. You also can’t go wrong with the short rib orzo pasta with feta and tomatoes – a hearty and aromatic dish. Finally, end with fresh fruit and Greek yogurt or white chocolate mousse and Greek coffee. We can’t forget the theater goers, who will be delighted to hear that Nerai has an affordable 3-course weekend pre and post theater menu for $49. The new menu is offered every Friday and Saturday from 5pm-6pm and from 9pm-10:30pm. 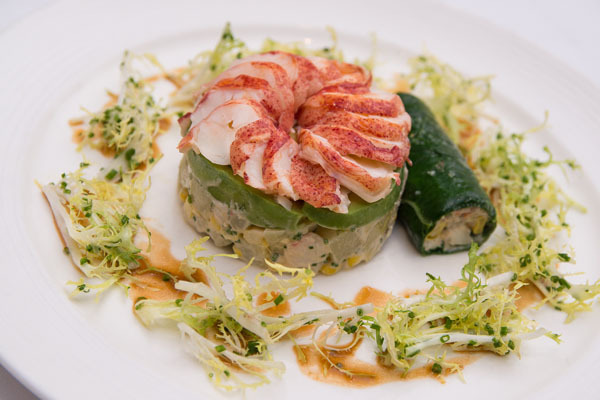 Grundman has designed each course carefully with the Mediterranean in mind. Nothing overly heavy here, just the right portions so you’ll leave feeling satisfied, rather than stuffed. To that end, another noteworthy takeaway from Nerai has got to be the service. The warmest staff in Manhattan sets Nerai apart from all of the other Greek restaurants in the city. You’ll feel inspired listening to Michael Coll talk about wines and you will feel satiated by the inventive foods created by Chef Grundman. There’s no better way to experience the feeling of Greece without actually being there.